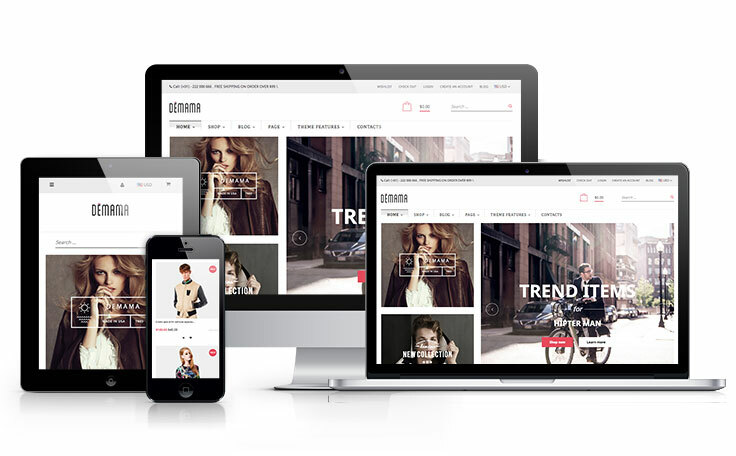 We are very happy and honor to announce our new theme: Ap Modern Fashion– Responsive Shopify template. Ap Modern Fashion is an ultimate Shopify theme inspired by modern Ecommerce designs. It is the best suite for stores related to fashion and accessories. With 3 separated homepages with fully responsive width, it adjusts automatically to any screen size or resolution. The Ap Modern Fashion Shopify theme supports 2 view modes for product listing page: Grid view and List view, all the views are lean, show information that user wants. Everything is super simple, but customers can add items to the cart without leaving the main shop page, and they can see sales upon first glance. Reviews, images, descriptions and related products are all shown on the product pages, making it one of the cleanest options on this list. If you want to have a very unique and attractive design and trying to make your way among numerous store owners, Ap Modern Fashion is a great starting point for you.